The new Integrative Eye & Wellness Center, in Evanston Illinois, is an expansion of the North Shore Eye Center, which has provided comprehensive conventional treatments with a focus on natural and preventative care for over 60 years. Your eyes are the window to your health, and their wellness reflects your health as a whole person. That's our treatment philosophy. You only get one pair of eyes, and we treat them with special care. We are fortunate to be located in an area where people take a holistic view of their care, and want to be our partner in health care. 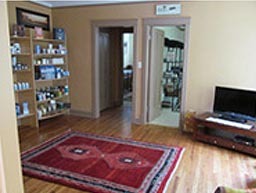 All of our doctors have received training in integrative nutritional counseling. We also have a network of well-trained caring practitioners of various disciplines for referrals, and to provide for your individual needs in our warm serene environment. The eye truly is the window into the body, mind, and spirit. 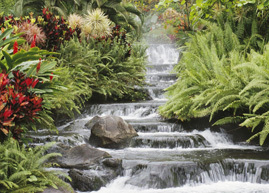 Begin your journey to wellness at North Shores' Integrative Eye & Wellness Center. Are you, or do you know anyone challenged with: Cataracts, Dry Eye Syndrome, Macular Degeneration, Glaucoma, Computer Eye Fatigue, Migraines, Seasonal Allergies, Diabetes, Stress? Come and find out what these conditions have in common! Come and learn fun and natural ways to manage chronic diseases. Watch for our free monthly seminars! Thank you for allowing us to be your partners in wellness. 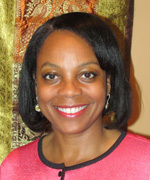 Dr. Millicent Knight is the owner of Integrative Eye & Wellness Center and the North Shore Eye Center in Evanston Illinois. She graduated with a biology degree from Augustana College in Rock Island Illinois, and a Doctor of Optometry degree from the Illinois College of Optometry in Chicago, Illinois, and has been in practice for 25 years. Dr. Knight is an Ocular Nutrition Coach with training from the Institute for Integrative Nutrition in New York, and a Diplomate with the American Academy of Anti-Aging and Regenerative Health Practitioners. In addition to patient care and coaching, she lectures on wellness and natural approaches to managing chronic eye conditions. My personal health care journey has always included complementary care. Managing stress, good nutrition, and having fun are an important cornerstone for my personal wellness. I love learning new theories and exploring evidence based medicine, and I look forward to sharing my "key learnings" with you. I am fortunate to be joined by associates equally passionate about the opportunity to look at the whole person as we help you manage eye and systemic related conditions. I believe in looking at the source of the challenge and treating each person with Bio-Individuality. Call and learn more about my treatment and management philosophies. 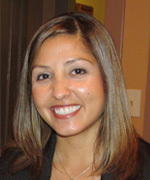 Dr. Carrillo-Owen was raised in Evanston, IL. She completed her undergraduate degree at Michigan State University earning a Bachelor of Science in Human Biology and went on to attend the Illinois College of Optometry where she earned her Doctorate of Optometry degree. Dr. Owen completed her health coach training at the Institute for Integrative Nutrition and works with patients of all ages to help them better manage stress and live healthy more fulfilling lives. Dr. Owen knows personally how the stresses of everyday life can affect your health and became interested in integrative healthcare as a means to better manage stress in her own life and learn how to be proactive with her own health. Whether you are going through a major life change or feeling increased stress brought on by pressure at work, home, or school, Dr. Owen believes that through education, coaching, exercise and a healthy well balanced diet that anyone can manage these stresses and live the healthy happy life we all dream of. In her spare time Dr. Owen enjoys traveling, camping, hiking, cooking and spending time with her husband and their two dogs. Originally from the Green Bay, Wisconsin area, Dr. Barbaro came to Chicago to begin her career in medicine at the Illinois College of Optometry earning her doctorate in Optometry. She completed her undergraduate degree in Biology with a medical emphasis and a minor in Chemistry at the University of Wisconsin La Crosse. While doing her undergraduate schooling, she received her certificate in teaching Yoga and her EMT license. Dr. Barbaro most recently completed her Holistic Health Coach training at the Institute for Integrative Nutrition in New York. Dr. Barbaro is a very motivated and positive person who is passionate about wellness and others wellbeing. Dr. Barbaro's extensive background in personal fitness, which includes teaching yoga classes to competing in an Ironman competition has taught her about inner strength, spirituality and how amazing the human body is. Not only has physical fitness allowed her to achieve her goals but also mental training and spirituality combined with the right coaching, guidance and support has gotten her where she is today. All of her accomplishments were not done alone, she had a backbone of support and without that support she would not have been able to accomplish these goals. That is why Dr. Barbaro is so passionate about being a health coach to support and encourage positive changes in one's life to help them live the most fulfilled life possible. Specialty areas include but not limited to stress management, eating healthy, weight loss, increasing energy and time management. Dr. Barbaro strives to help people live a healthy, balanced lifestyle based on each person's personality and daily life. There is no one right solution, each person is treated as an individual with individual needs. I envision wellness for others and myself. 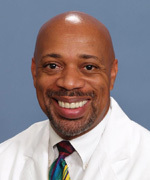 Dr. Harvey Echols coordinates our weight management program. Dr. Echols completed his residency at Cook County Hospital in Chicago, where he was Chief Resident in the Department of Family Practice during his final year. He completed a fellowship in Sports Medicine at the Chicago College of Osteopathic Medicine. Dr. Echols is a past president of the Cook County Physicians Association, the component chapter of the National Medical Association. He is a member of the American College of Sports Medicine and the American College of Medical Quality, and has previously served as a consulting team physician to several local high school, college, and professional athletic teams. He is the CEO of Illinois Medical Consultants, a medicolegal consulting firm. As well, he currently serves as a physician advisor for Accretive Health Physician Advisory Services, a nationwide healthcare consulting group. Dr. Echols is board certified in Medical Quality Management by the American Board of Medical Quality. As a sports medicine physician, I have always stressed to my patients the importance of exercise, good nutrition, and overall good health. Good health habits are the basis of treatment for any illness, and in order for an illness to be treated effectively, a healthy body must be the cornerstone to any successful medical treatment regimen. I look forward to working with all my patients and clients to develop a personalized weight management and maintenance program. "Good health habits are the foundation for health maintenance!" Sports Vision: Get the Nutritional Edge! Healthy Body = Healthy Eyes! Copyright © 2019 Integrative Eye & Wellness Center. All Rights Reserved.